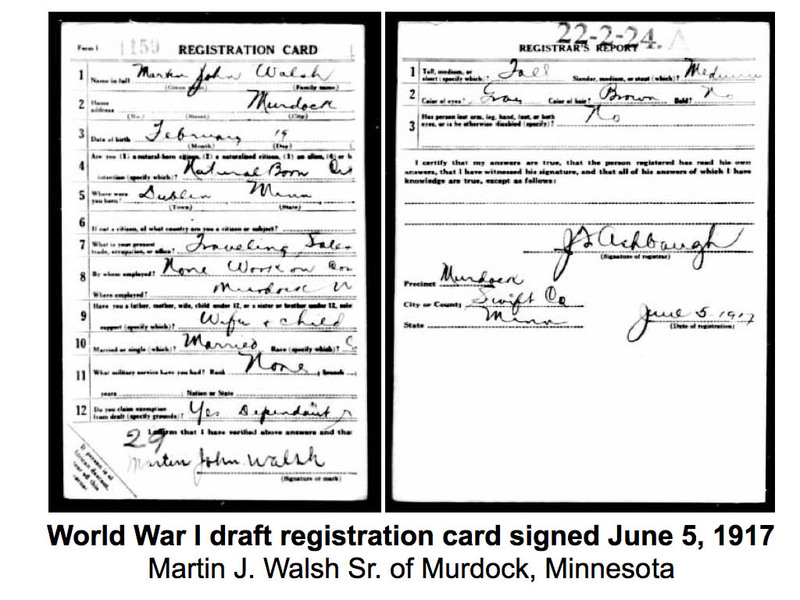 I’m very thankful for my grandfather Martin J. Walsh Sr. of Murdock, Minnesota for filling out his World War I registration draft card asking for an exemption from being drafted in the war. I found the card on Ancestry.com. 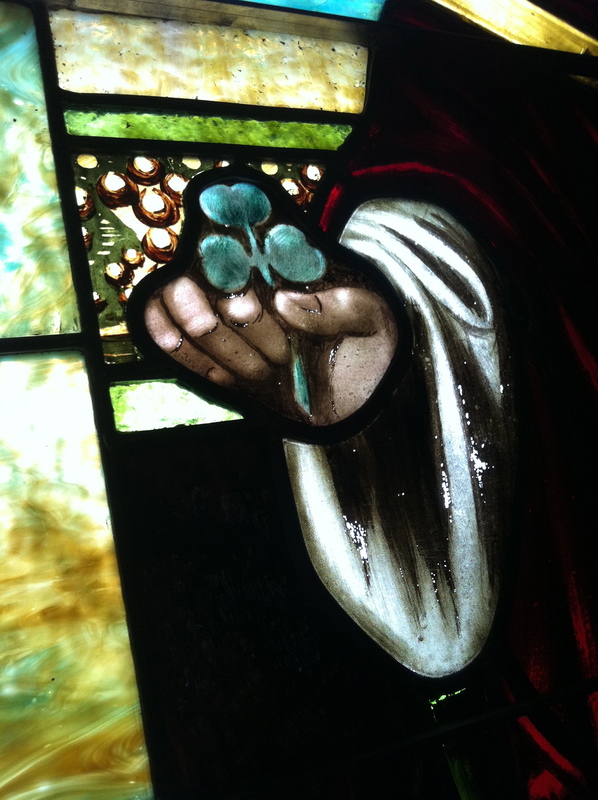 It was June 5, 1917 when my grandfather Martin J. Walsh Sr., about 30 years old. 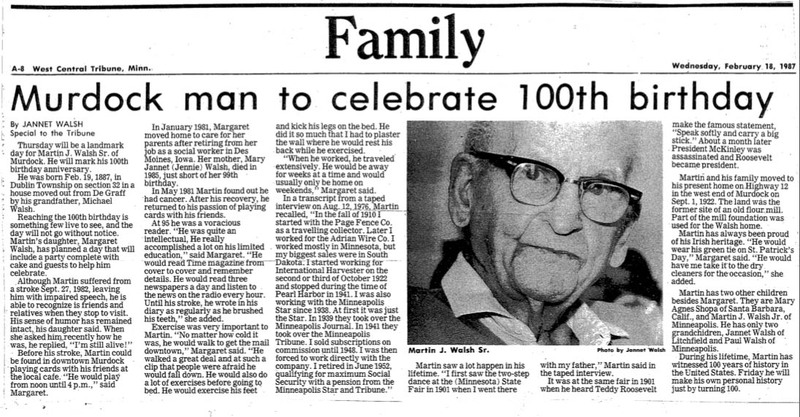 Read more about my grandfather Martin J. Walsh Sr. in a story I wrote in 1987 that appeared in the West Central Tribune. 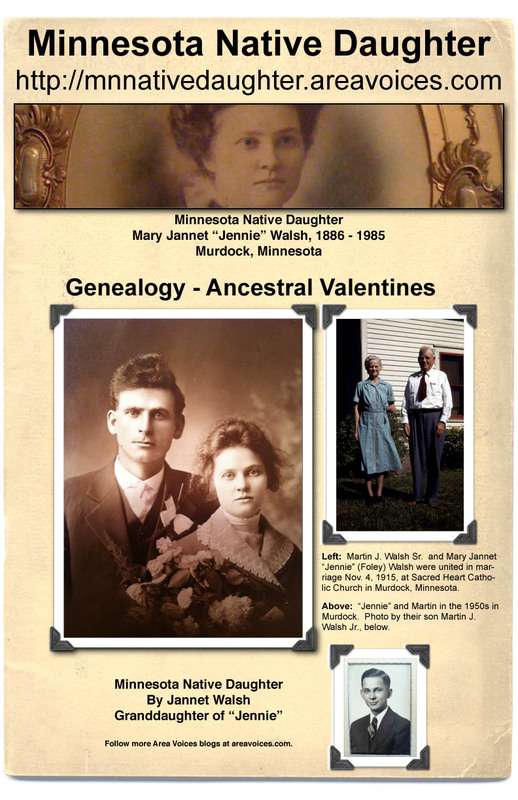 This entry was posted in Family, Genealogy, Minnesota, Minnesota Native Daughter, Murdock, rural, Willmar and tagged blogging, De Graff, family, Genealogy, Murdock, religion, Rural on February 10, 2011 by Jannet Walsh. 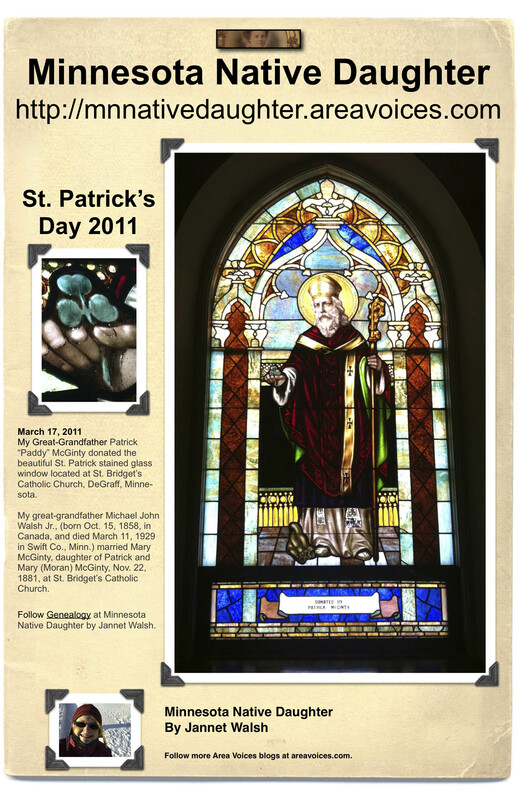 This entry was posted in Blogging, Family, Genealogy, Minnesota, Minnesota Native Daughter, Murdock, Murdock news and tagged blogging, De Graff, family, Genealogy, money, Murdock News, religion, Willmar on February 2, 2011 by Jannet Walsh. 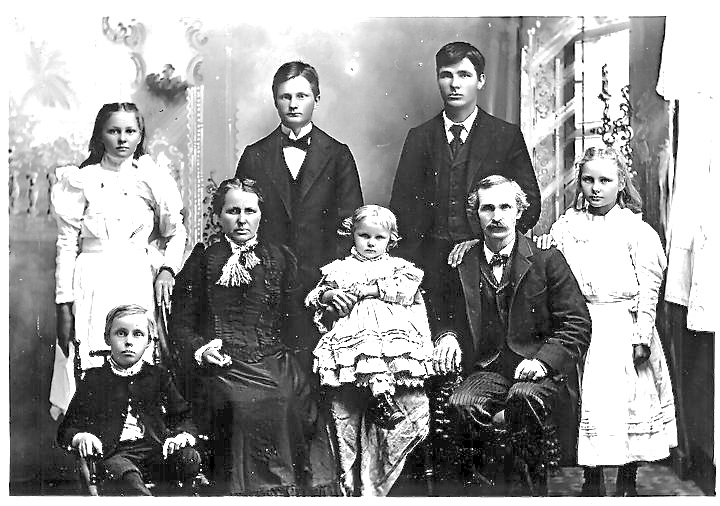 My second cousin Kay (Kennedy) Frederickson sent me an old family photo, possibly from 1895 – 1896, as the youngest daughter was born in 1895, appearing to be one or two years old. 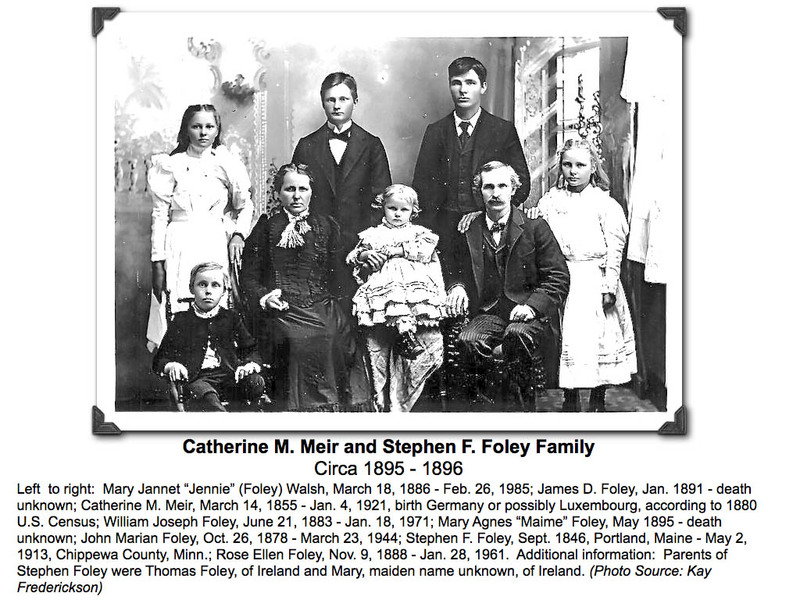 Kay and I share a set of great-grandparents Stephen Foley and Catherine (Meier) Foley, making us second cousins. 2. Try to identify the faces in the photos with the help of family. 4. Ask for comments from family, as there might be other information they have, that you do not. 5. Have fun! 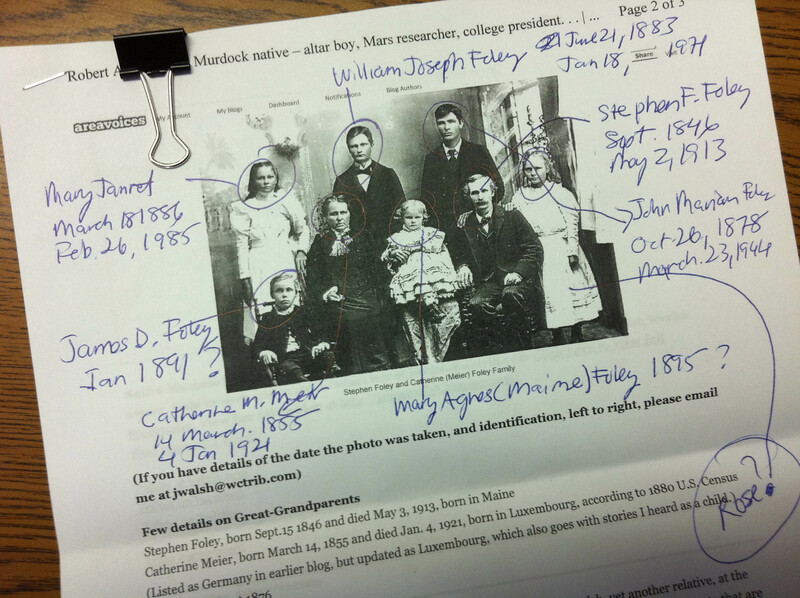 Yes, it’s work, but you are finding information of your past you can share in the future. Right click to save photos below. This entry was posted in Blogging, Family, Genealogy, Minnesota, Minnesota Native Daughter, Murdock, Murdock news, Religion, Stephen Foley Family and tagged blogging, De Graff, family, Genealogy, Jannet Walsh, Minnesota Native Daughter, Murdock, religion, Rural, Stephan Foley, Travel on January 27, 2011 by Jannet Walsh. 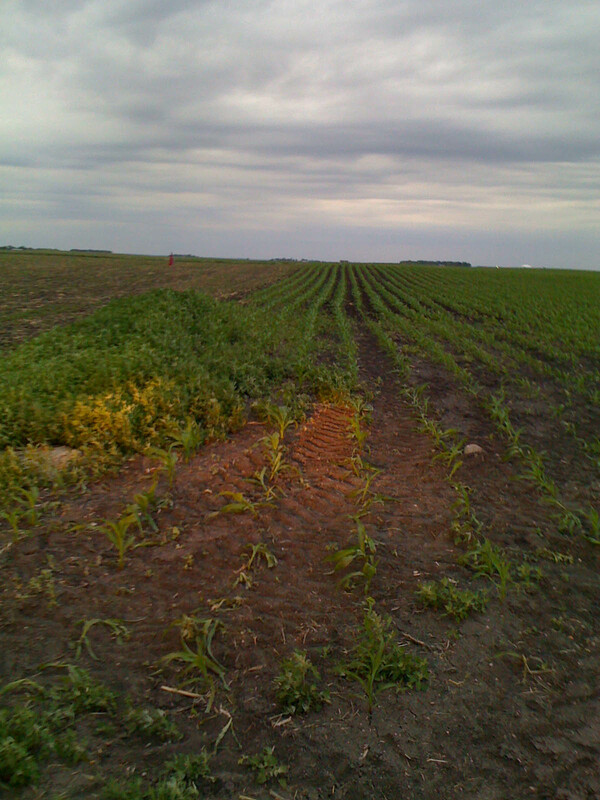 See all December 2010 blog posts. 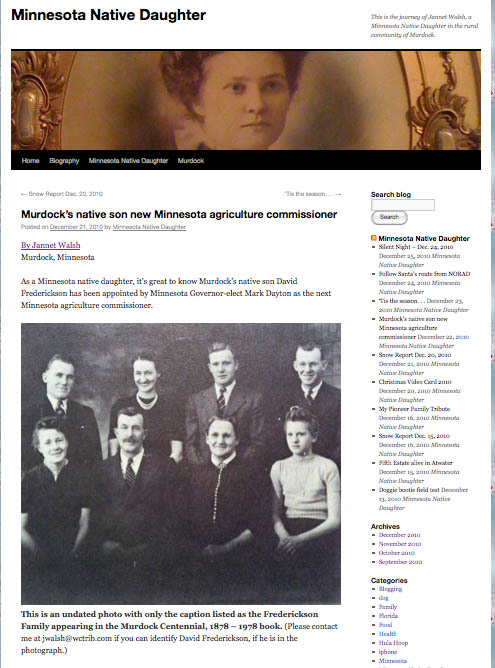 Murdockâ€™s native son new Minnesota agriculture commissioner. Read complete blog. Minnesota Native Daughter is blogged! Ok, it does not take much, but I am flattered that Logan C. Adams, the Assistant Editor at The Jamestown Sun, in Jamestown, North Dakota noticed my weather blogs and videos I have been posting. See complete blog. 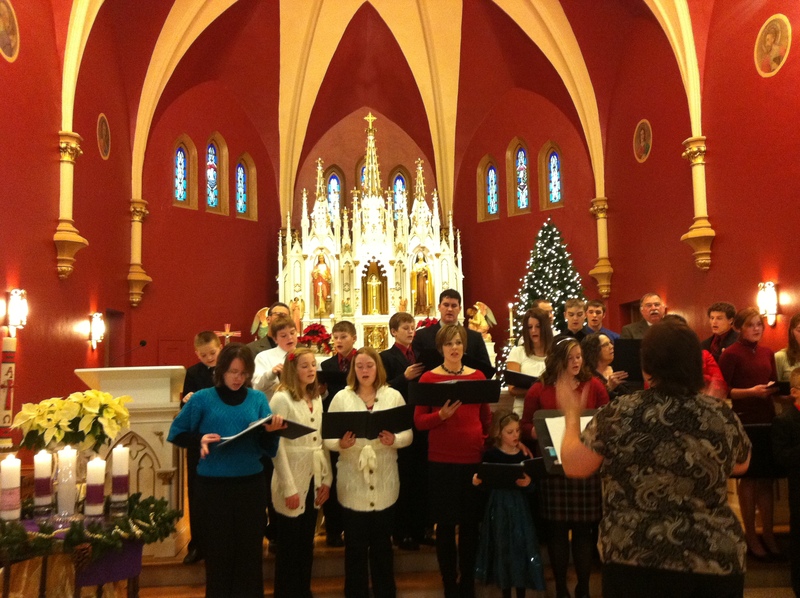 Christmas Eve 2010 at Sacred Heart Catholic Church in Murdock, Minnesota. Sign up for mobile alerts from wctrib.com. Email me your snow storm memories from winters past to jwalsh@wctrib.com, with a subject line of Snow. View a list of historical storms in Minnesota provided by the Minnesota State Climatology Office. 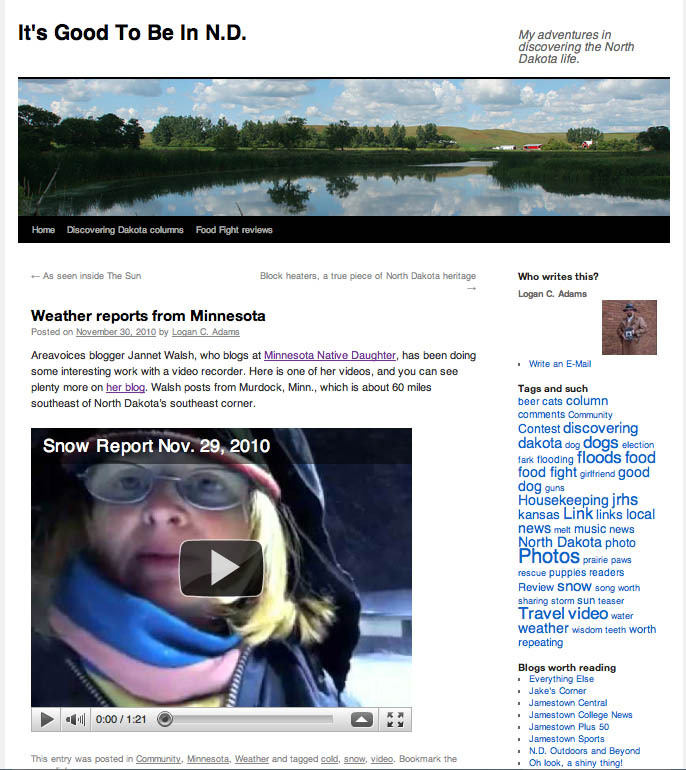 This entry was posted in Blogging, Florida, Genealogy, Health, Minnesota, Minnesota Native Daughter, Murdock, Religion, snow, Travel, Weather, Willmar and tagged blogging, De Graff, Florida, Genealogy, health, iphone, Jannet Walsh, Minnesota Native Daughter, Murdock, religion, Rural, snow, Stormy Kromer, Travel, video on December 26, 2010 by Jannet Walsh.